The boundaries of Ireland’s European constituencies are being redrawn in the wake of the reduction in the number of MEPs from 12 to 11. Map: Nicky Ryan/TheJournal.ie. Click here if you are having trouble viewing the map. DUBLIN WILL BE a three-seat constituency with the rest of the country divided into two constituencies of four seats each under proposals released by the Constituency Commission today. The report of the European Parliament Constituencies Committee has divided the country into three in the wake of Ireland losing one MEP – going from 12 to 11 representatives in the European Parliament – following the accession of Croatia to the EU. Under the proposals released this evening Dublin – with a population of 1.2 million people – will be a three-seat constituency on its own. This redraw sees the province of Leinster split into two. There will be a four-seat ‘Midlands-North-West’ constituency which will include the counties of Cavan, Donegal, Galway, Kildare, Laois, Leitrim, Longford, Louth, Mayo, Meath, Monaghan, Offaly, Roscommon, Sligo and Westmeath. There will also be a four-seat ‘South’ constituency featuring counties Carlow, Clare, Cork, Kerry, Kilkenny, Limerick, Tipperary, Waterford, Wexford, and Wicklow. 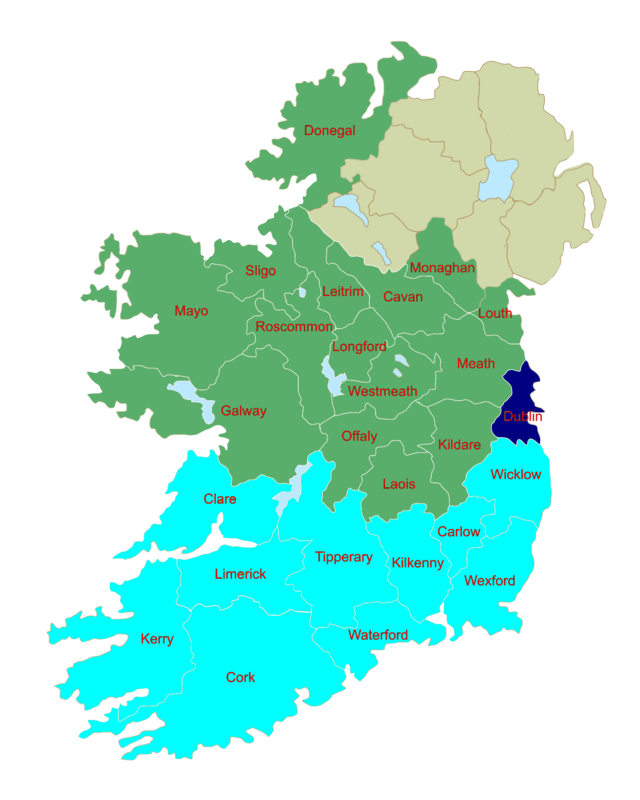 At present Ireland has four constituencies of three seats each: Dublin, East, North-West, and South. The Commission was tasked with redrawing Ireland’s European constituency map in light of the reduction in MEPs. By law constituencies must have a minimum of three and a maximum of five seats meaning the only options open to it were 4-4-3 or 5-3-3. Three of the four main political parties indicated a preference for a 4-4-3 option with Dublin as a single, three-seat constituency and the rest of the State divided into two large four-seat constituencies. Fianna Fáil was the only major political party not to make a submission to the Commission while Labour’s submission came from its two MEPs Emer Costello and Phil Prendergast. Ireland South MEP Prendergast said she is “fired up and ready to go” in the wake of the redraw. “I intend to run a red-blooded campaign to retain this seat on the back of my record of achievement and hard work throughout Ireland South,” she said. Fine Gael senator Catherine Noone welcomed the decision to keep Dublin as its own constituency, saying it is “good for Dublin” and “reflected the fairest way of dividing 11 seats across the country”. Former Labour and current independent MEP Nessa Childers said she will have to decide whether to run in Dublin or elsewhere in the wake of the abolition of the Ireland East constituency which she currently represents. Email “Dublin a three-seater in Ireland’s new-look European constituency map”. Feedback on “Dublin a three-seater in Ireland’s new-look European constituency map”.